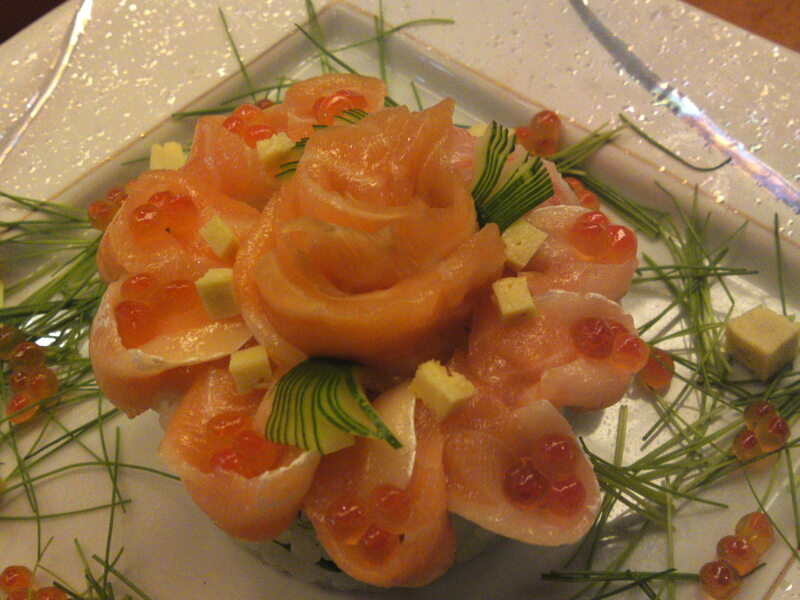 Sushi Design by Chef Kenta Birukawa at Sushi Ko in Shizuoka City: Seafood Sushi Millefeuille! 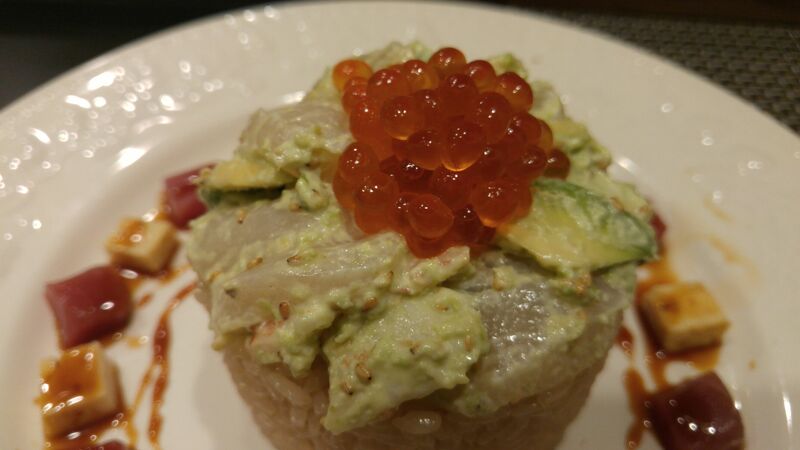 Here is another example of Chef Kenta Birukawa/尾留川健太さん’s ingenuity which demonstrates why he received an award as best sushi designs from his peers two years ago! 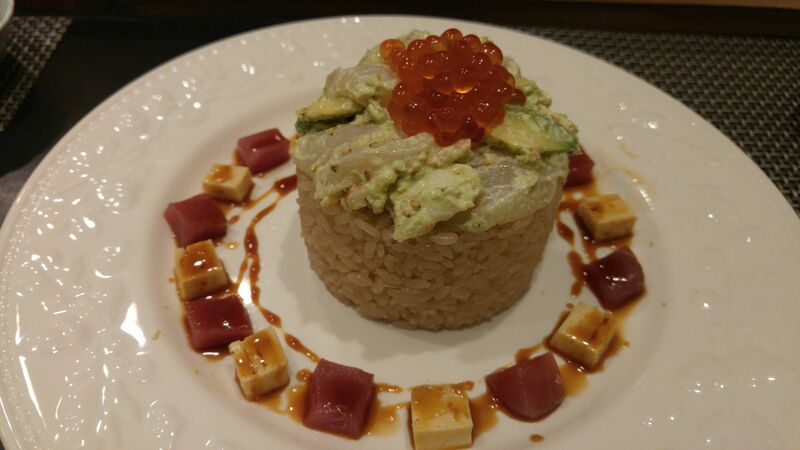 Actually this time we challenged Chef Birukawa to create another millefeuille with pre-determined ingredients! 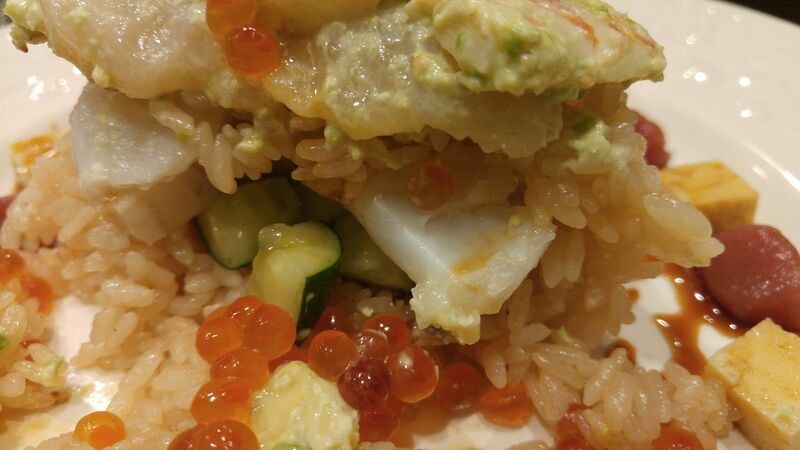 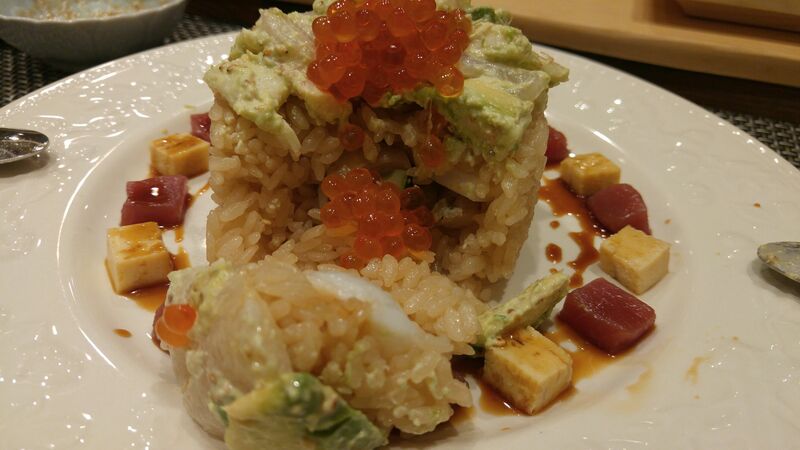 The shari/sushi rice layers had thinly cut cucumber and avocado in between! 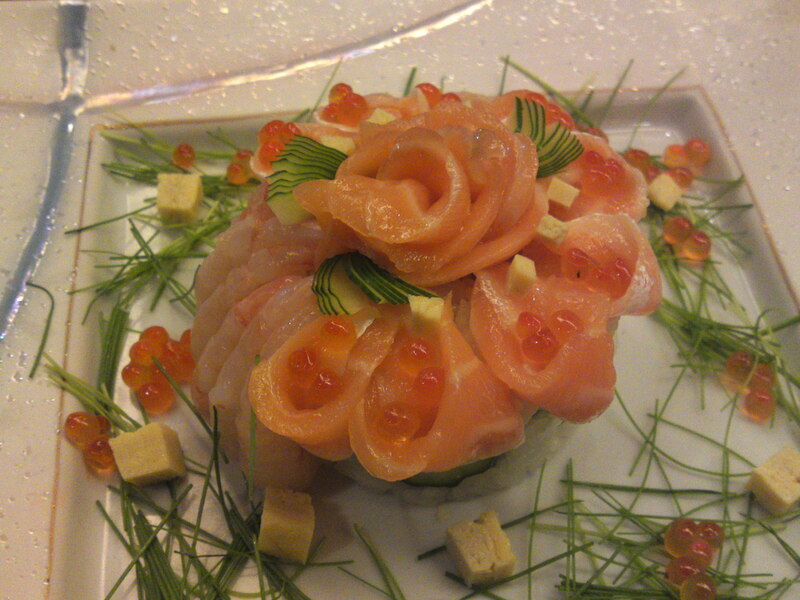 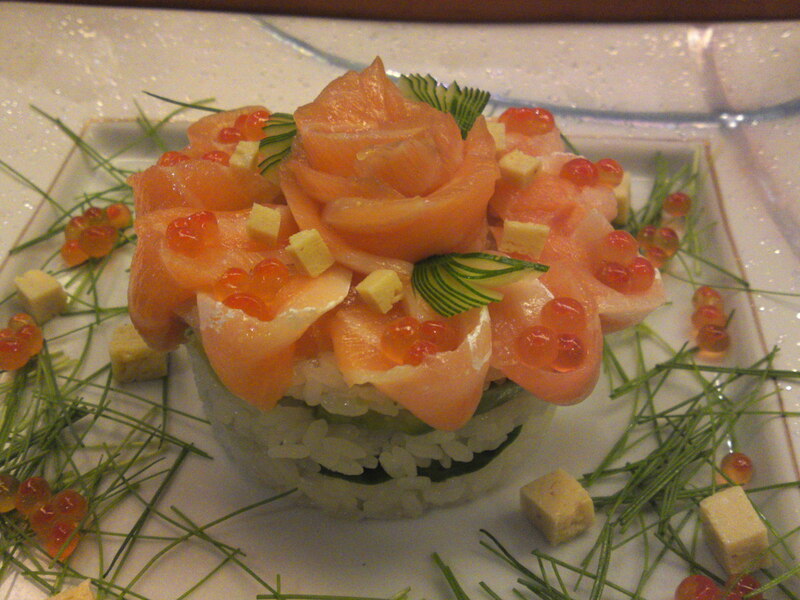 Chef Birukawa first mounted the top with small “flowers of raw salmon with salmon roe in each on a green bed of thinly sliced cucumber and placed a “rose” of raw salmon in the middle! 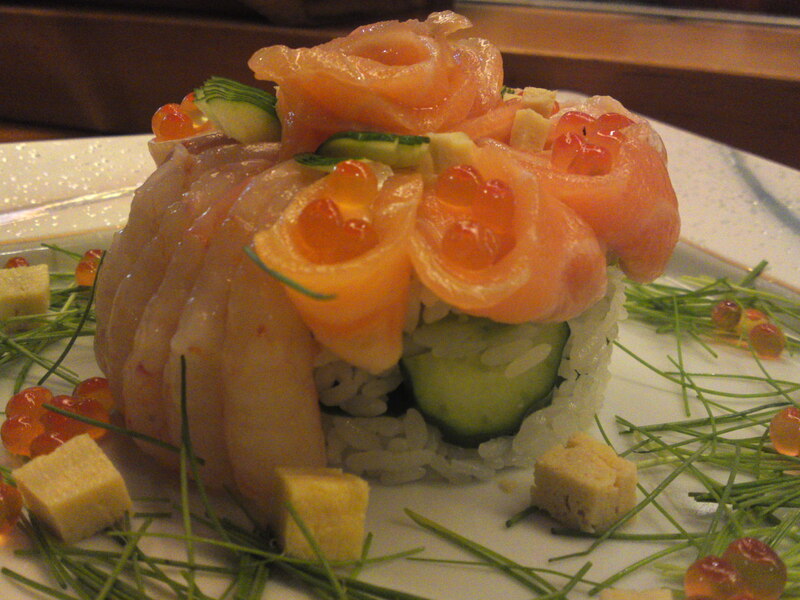 He then formed a “cascade” of sweet shrimps! 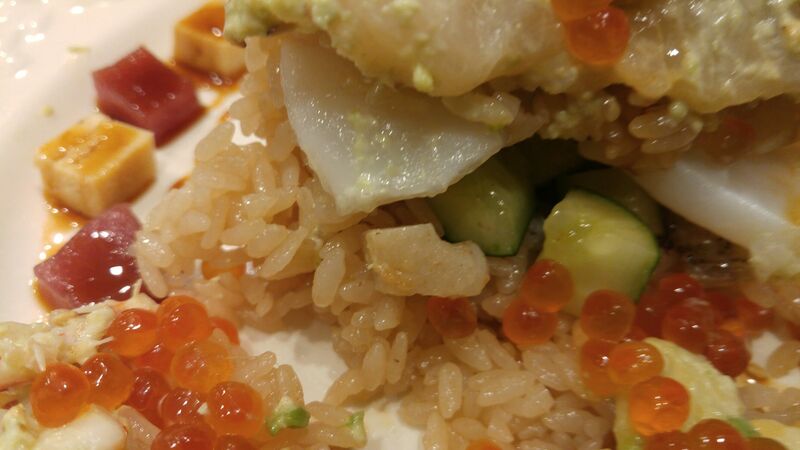 he finally surrounded it with leek sprouts, small cubes of tamagoyaki/Japanese omelet, and more salmon roe.